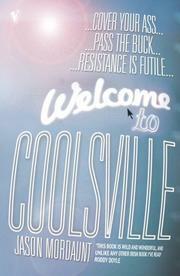 “Coolsville” is a high-tech Dublin suburb where Mordaunt’s edgy, intriguing debut unfolds in a brave new near-future when battles are waged over computer programs and gene pools. Not that the Irish author is above some old-fashioned fisticuffs. When the mega-conglomerate WentWest, Inc., finds itself the target of a mysterious, seemingly all-powerful cyber-terror group called Mantra, the burly and brutish CEO, J.P. Gillespie, isn’t shy about cracking heads. After all, it’s bad enough that Mantra has made world headlines by electronically sabotaging every recent WentWest-sponsored sporting event. But a secret WentWest project designed “chemically” to alter the hard-core inmates of nearby WentWest Correctional into meek, prolific worker drones is threatened with exposure. One of WentWest’s project physicians was ready to leak the sordid details to the press, and now Sister Jasmine Ylang-Ylang, a sort of super-sleuth nun, is snooping around, quietly scouring for clues. She may have found an ally in Papa Charlie McCormack, a WentWest archivist who’s teaming with coworker Marshall McLemon to create an online museum exhibit aimed at preserving vintage turn-of-the-millennium culture. As if Gillespie’s plate weren’t full enough, he also has to deal with his suave superior, Henri McCambridge-LeMans, chairman of WentWest Europe, who has arrived ostensibly to personally supervise WentWest’s anti-Mantra countermeasures. In truth, McCambridge-LeMans has his own secret project: to live forever, using a cutting-edge gene-splicing technique. All he needs is a willing donor, and who better than his unsuspecting distant cousin, Marshall McLemon, a test-tube baby no less, who looks young for his age. Meanwhile, not all of Mordaunt’s plot balloons quite stay aloft, but there’s still enough imaginative breeze blowing to keep our interest keen. Crisp prose and a colorful cast help, from Gillespie’s oily jazz musician son “Bluey” to his two bumbling henchmen, Mick and Frank Cooper (no relation, except distantly to Rosencrantz and Guildenstern). All in all, a bracing, satisfying ride.